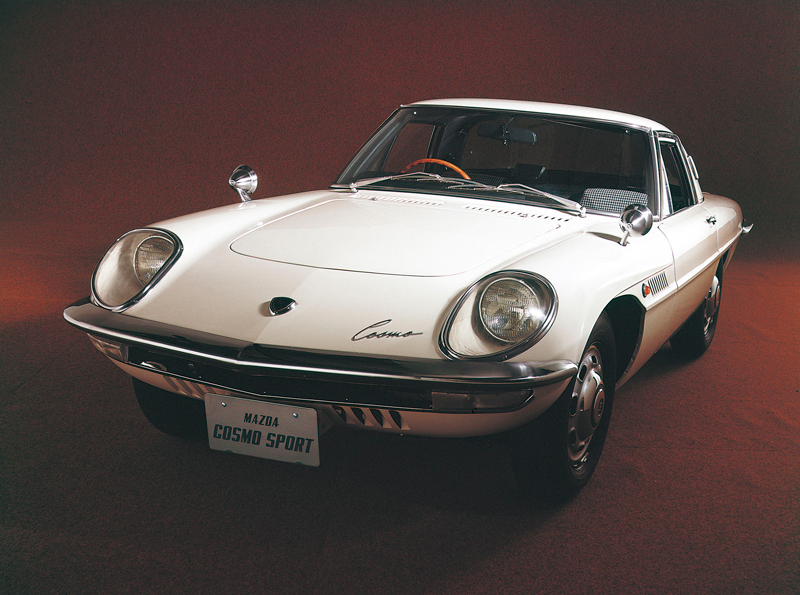 MAZDA: Happy 50th birthday, Mazda Cosmo Sport! 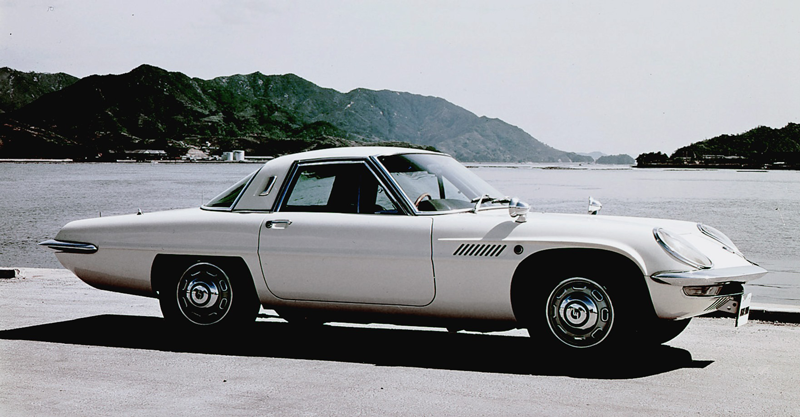 Happy 50th birthday, Mazda Cosmo Sport! The reason why Cosmo Sport attracts such love and adoration may be because it’s no ordinary ride. The world’s first ever two-rotor rotary engine powered, mass production car, it went on to become Mazda’s most iconic sports car. 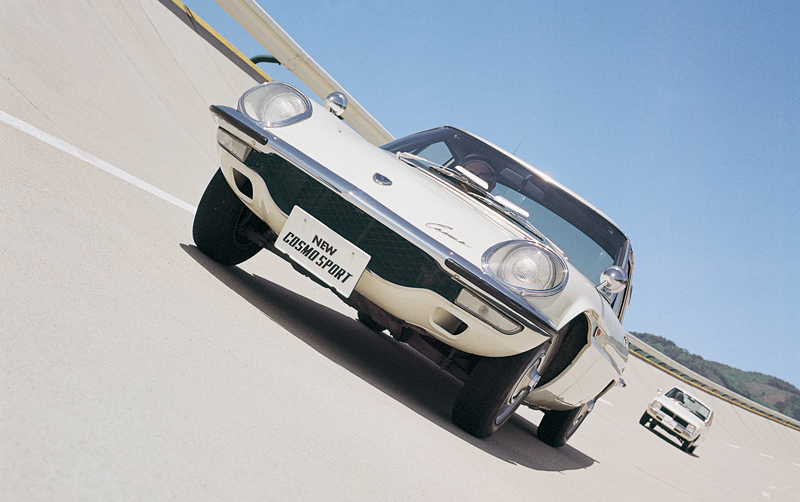 The prototype of Cosmo Sport was unveiled at the 1964 Tokyo Motor Show. 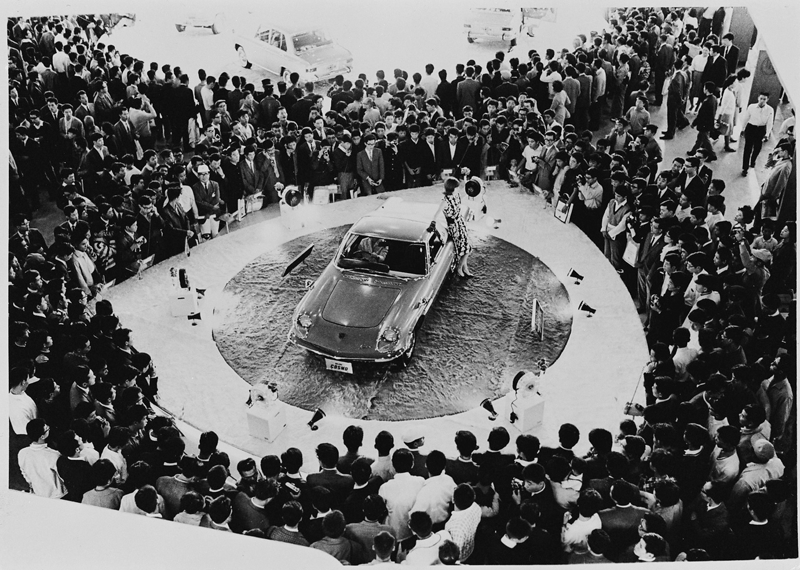 It was showered with praise as it poised proudly on a rotary-shaped stage. After its debut, Mazda’s engineers continued to work hard to polish its premium feel and durability and perfect its driving performance. As a result, Cosmo Sport racked up a whopping 700,000km during its test drives. And finally, 50 years ago on May 30, 1967, Cosmo Sport came on the market as a mass production car. It enthralled fans all over with low, flowing, futuristic styling and its impressive specs: a rotary engine of 491cc x2 capacity, a maximum power of 110PS, a top speed of 185km/h and a 0-400m time of 16.3 seconds. Over the next five years, approximately 1,200 units were made, each one handmade by craftsmen. It was priced at 1,480,000 yen; since the average university graduate salary at the time was around 20,000 yen, in the present day this would translate to about 15,000,000 yen (around US$133,000) per unit. Fifty years on, Cosmo Sport continues to be lovingly driven and celebrated by its many fans. With that passion as a driving force, we at Mazda will continue to build cars that will be loved for years to come.